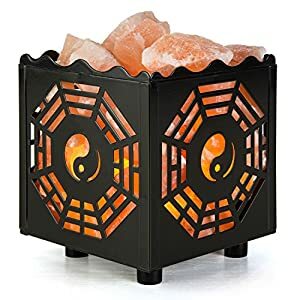 High Quality Himalayan Salt and Premium metal basket is better than other commonly used materials on the market. It is more durable, corrosion resistant, giving you a long lasting life. 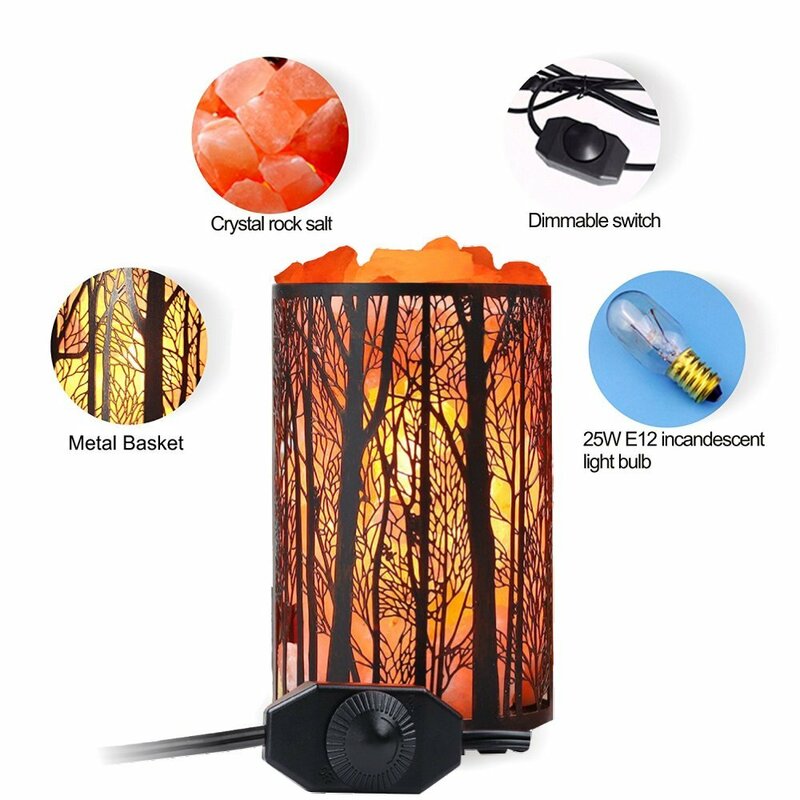 Safer Touch Dimmer Switch, ETL certified dimmer switch, power cord and base, 25W bulb included, brightness can be adjusted according to your needs. 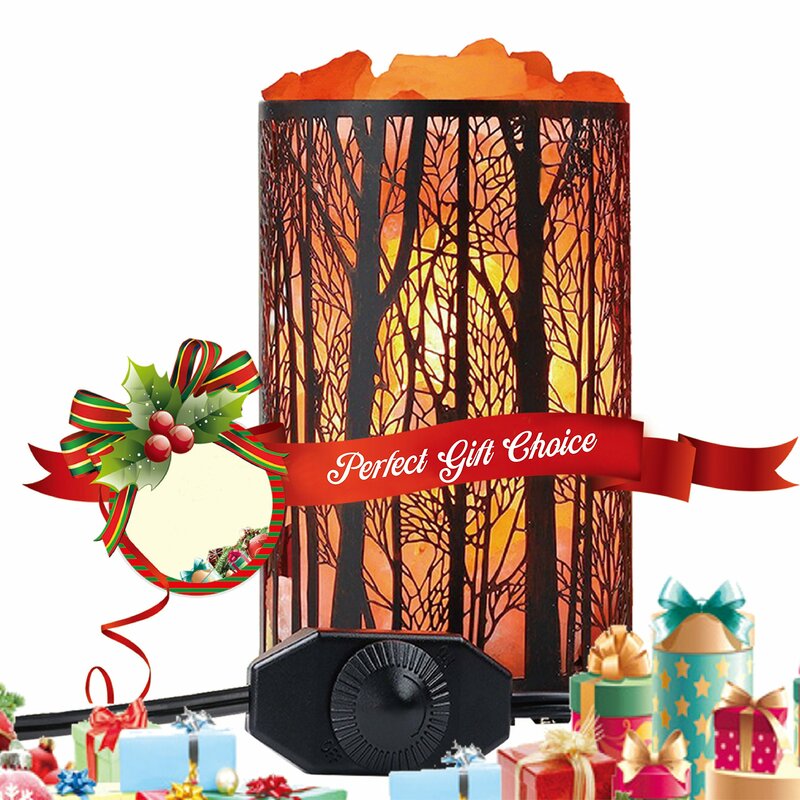 Crystal Salt Lamp is the best holiday or Christmas present or stocking stuffer for kids and adults, boys or girls, men or women, Perfect housewarming gift for home or apartment, college student dorm. 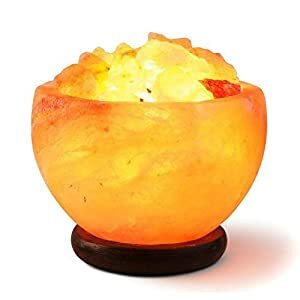 You don’t know what you’re missing if you’ve never owned a Himalayan salt lamp. 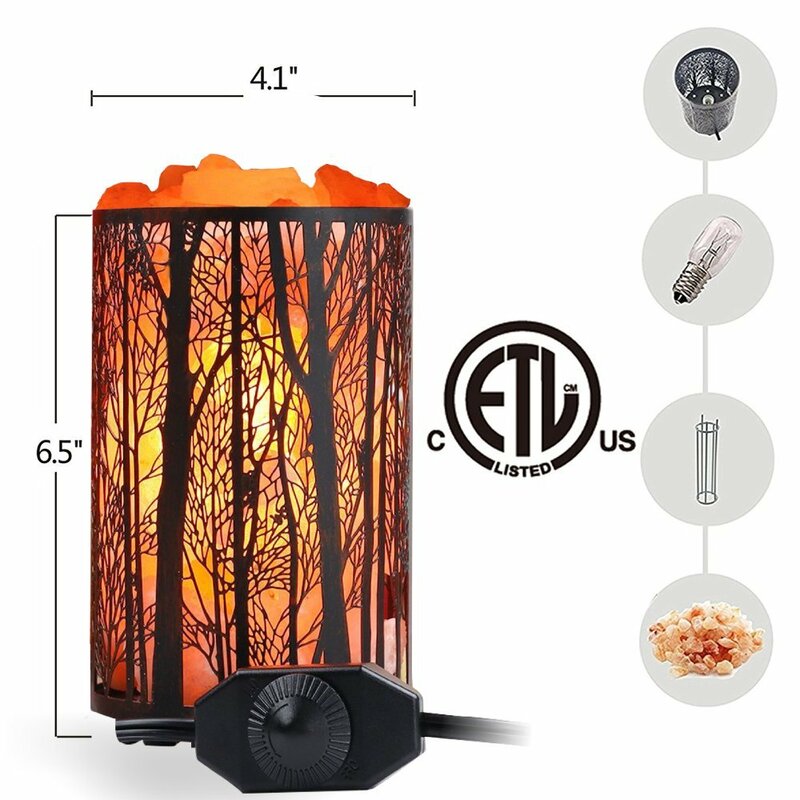 It’s like having an open window–a softly glowing natural source of fresh, clean air–on your desk, in your living room, next to the bed, or anywhere you choose to put it. 1. 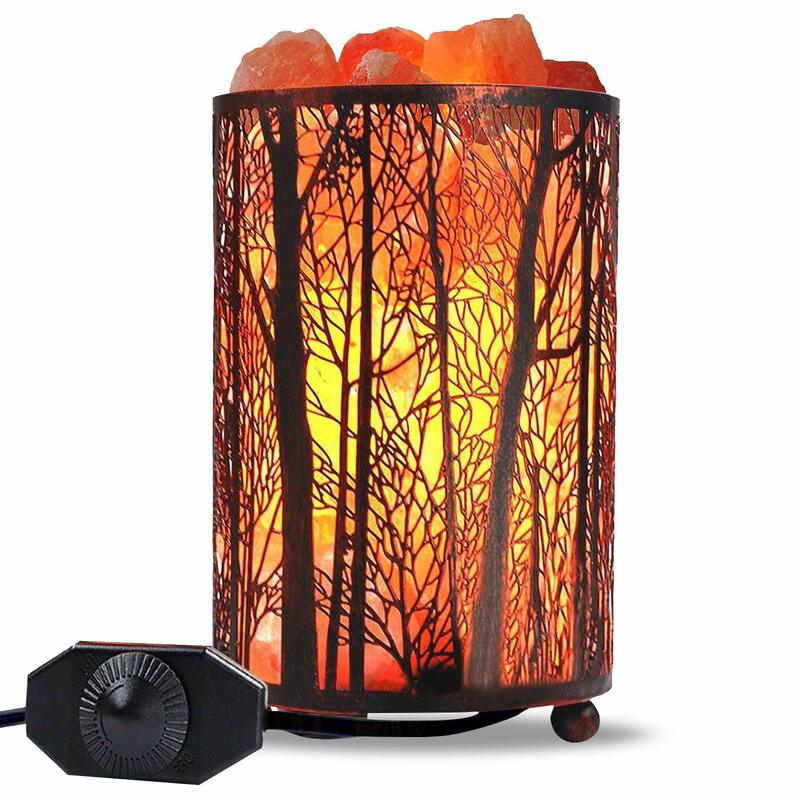 Natural Himalayan Salt Lamp Made from 100% Himalayan Mountain salt crystals. 2. Dimmer dial on cord provides adjustable, dimmable light for personalized ambiance. 3. 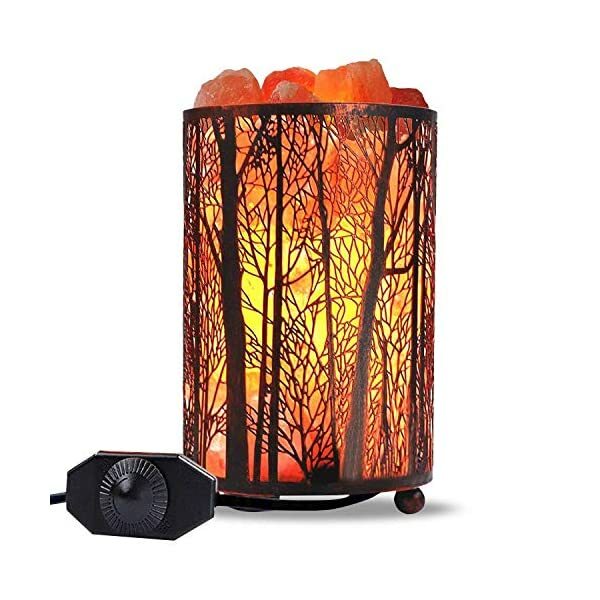 Glows colorful amber pink for a room calming & relaxing, warm, atmosphere. 4. 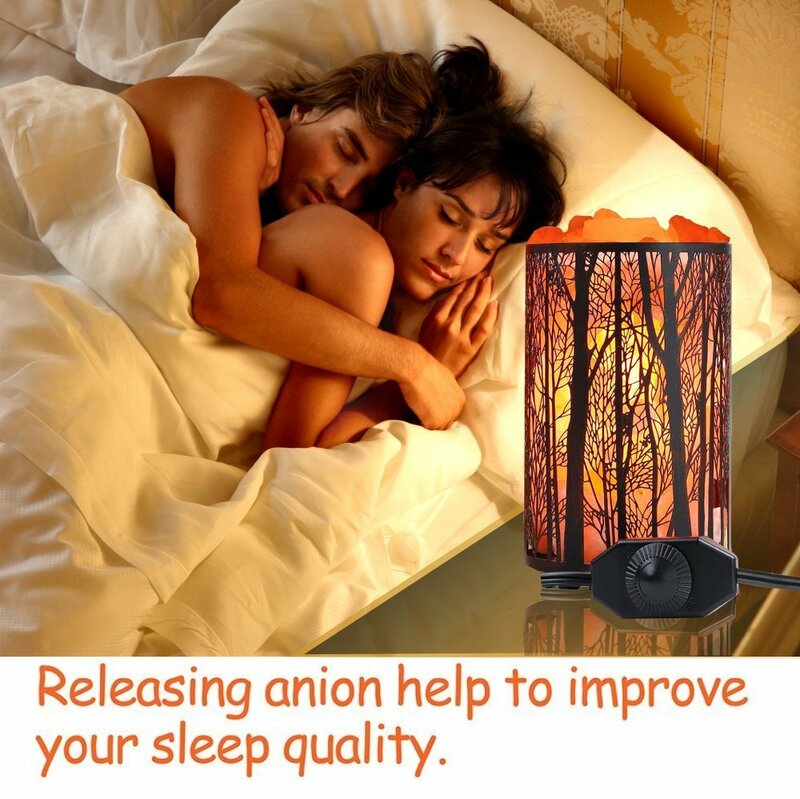 Creates healthy, romantic mood, relieves stress to help you relax. 5. Cleanses & deodorizes air, makes air clean, pure and fresh. 6. Increase energy, improves sleep & breathing. 7.Neutralizes ions, fights electromagnetic radiation with negative ions. 8. 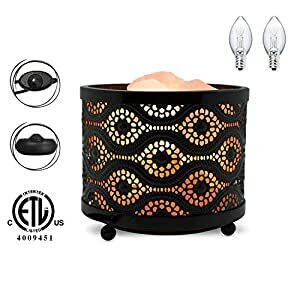 For ambience on table or desk, for bedroom, bathroom, living room, study, home or office; nice bedside nightlight, restaurant or business decor. 9. 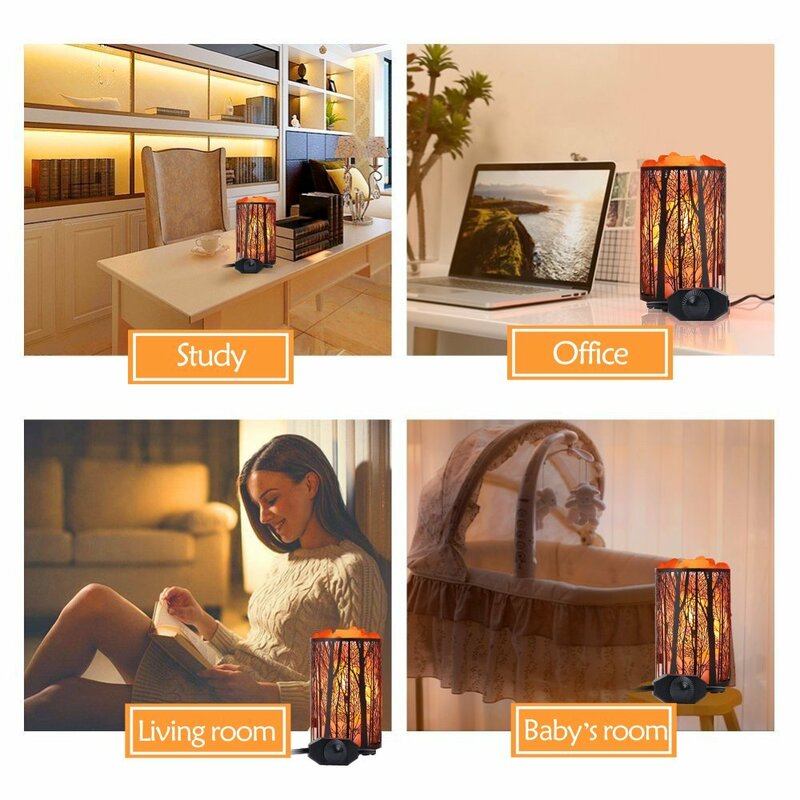 Crystal Salt Lamp is the best holiday or Christmas present or stocking stuffer for kids and adults, boys or girls, men or women, Perfect housewarming gift for home or apartment, college student dorm. Avoid direct exposure to sunlight, heat, or moisture. Handle lamp with care, do not drop or tip it over. 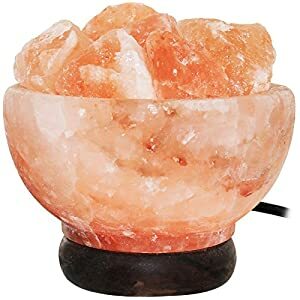 Don’t replace the bulb while the salt lamp crystal is damp. Warranty support: 1-year warranty and lifetime support from Shineled. Free to provide 25 watt bulbs if you bought it from our store. Please send Email to us if you need it. Only support shipping to US. If you have any questions, just send us a message and our team will be here to listen.